If you want to take a step back in time while vacationing in Isfahan, there are ample options for you. We’re not talking about magical powers or a time machine, but a real experience where you can enjoy moments, feeling the magic of days gone by. 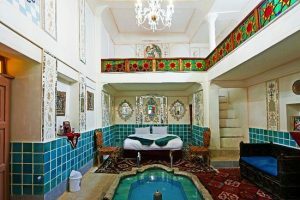 The traditional hotels in Isfahan will take you back in time. These hotels come with all the creature comforts and luxuries you expect from a modern hotel, together with a story of their own. 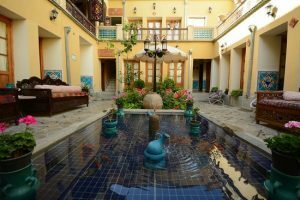 Without further ado, let’s take a look at the best traditional accommodation in Isfahan. 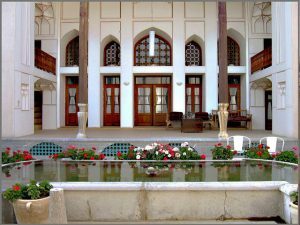 Ishafan Abbasi Hotel, otherwise known as Abbasi Guesthouse, is one of the largest hotels in Iran and the oldest hotel in the world. Established in 1106 AH, the hotel is housed in the site of ancient ruins and remnant that dates back to the Safavid period. Guest staying here will enjoy all the comforts of a hotel while still exploring ancients ruins. 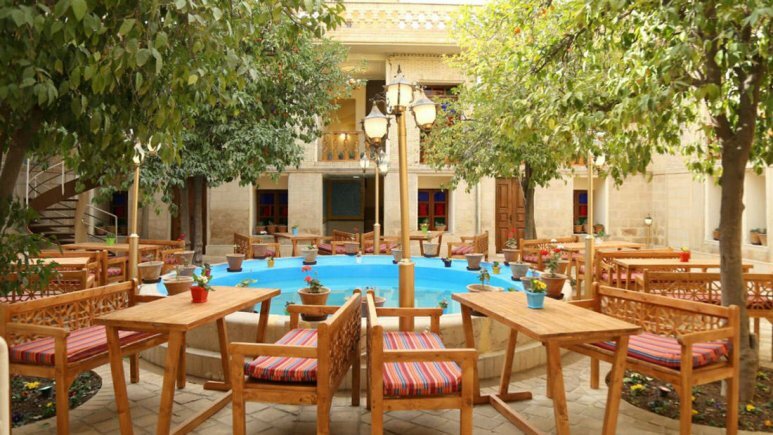 Here you will find a garden restaurant which prides itself as the most beautiful garden restaurant in Isfahan. Choose from a wide range of room and suites. Each room has a shower, dressing room, high-speed Wi-Fi, coffee and tea maker and much more. The suites in this mansion offer spectacular views of the garden. Looking for a convenient place to stay? 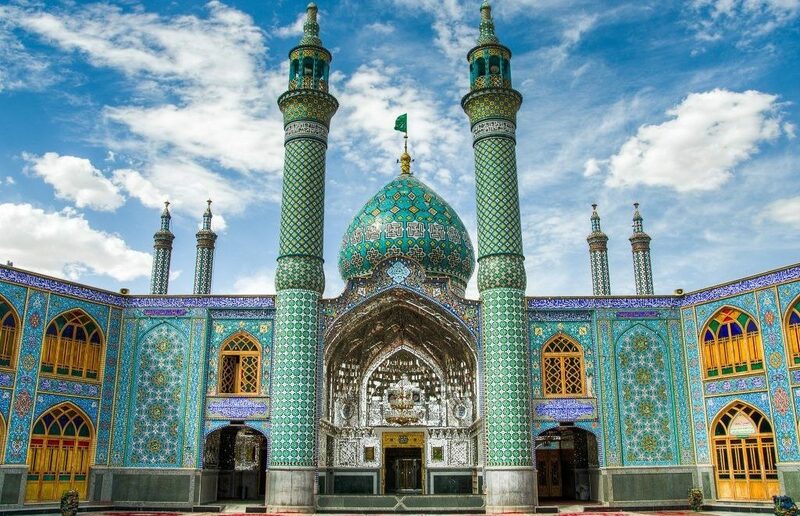 Want to learn more about Isfahan’s rich cultural heritage? Ghasr Monshi hotel is the place for you. The traditional feel of the hotel can be felt everywhere from the interior to the rooms. Each room features comfortable beds, bright windows and comes with enough space for your luggage. The hotel’s central location provides guests with easy access to top attractions in the city such as Naqsh-e Jahan Square (Main Square), and the Grand Bazaar. What’s more is the hotel has undergone a major renovation to preserve its original looks and historical values. Room types range from single double and triple. 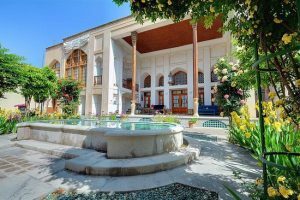 Dating back to the Qajar dynasty, Keryas Hotel Isfahan is one of the finest traditional hotels in Isfahan and offers easy access to major infrastructure including Enghelab square subway station, Khorshid Hospital, and Darvaze Dowlat taxi stand. The hotel’s location is ideal for those who want to explore the best attractions of Isfahan on foot. Nearby attractions include Naqsh-e Jahan Square, Abbasi Great Mosque, Mashrouteh House of Isfahan and Chehel Sotoun. The hotel is arranged on two floors with 17 well-furnished rooms. Each room is beautifully decorated with a mini-fridge, bed lamp, telephone, tea maker, a television, ensuite bathroom with a shower and many more. Book a stay in a room with a balcony for some great views. 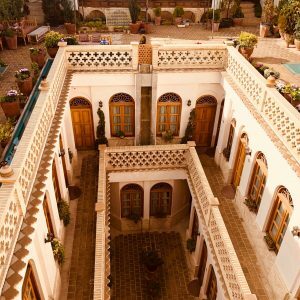 Bekhradi is a two-star traditional hotel which dates back to about 400 years ago during the Safavid era. Culture lovers will fall in love with the stunning stucco art in the central yard. Take a dip in the magnificent swimming pool with a splashing fountain and feel refreshed. Regardless of the number of people in your group, Bekhradi traditional hotel has something for you. The hotel is tastefully designed with a state of the art amenities to provide a convenient and comfortable stay for guests. Vacationers enjoy homemade traditional Persian cuisine. There are a total of three suites and one room with a full-facility bathroom. 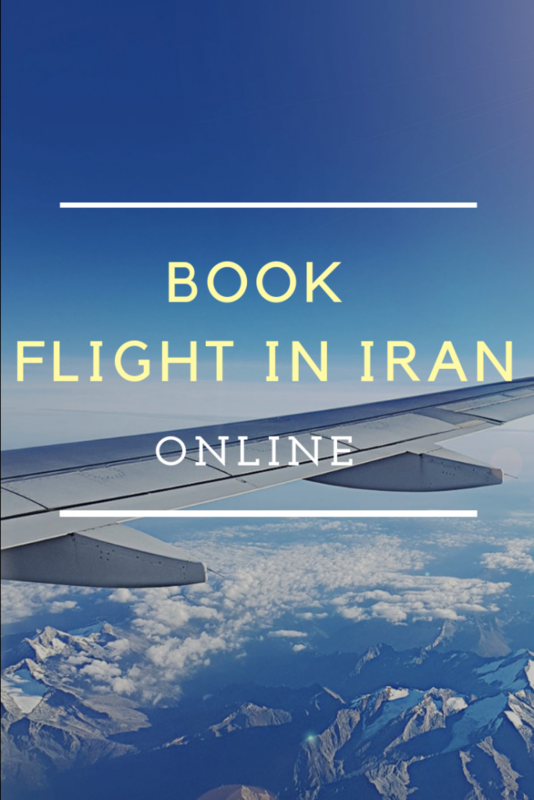 Just as with other hotels in Isfahan, you can book a room online. 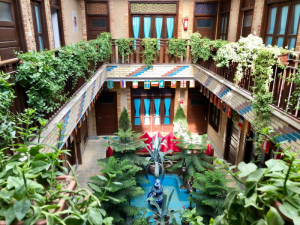 Tolou E Khorshid (Sunrise) Traditional Hotel is considered by many as one of the hidden pieces of a jewel located in the oldest part of the city. For those looking for a perfect place to stay for an authentic Isfahan experience, Sunrise hotel opens its doors to you. The hotel itself makes you feel like a local. The best attractions in Isfahan are nearby. Take a stroll through the streets and alleys and explore the traditional part of ancient Isfahan. The hotel is perfect for people of all ages. A few rooms feature a balcony that overlooks the yards. The room features a wardrobe, a TV set, a telephone, a private bathroom with toiletries, furniture, drawers, and a closet. 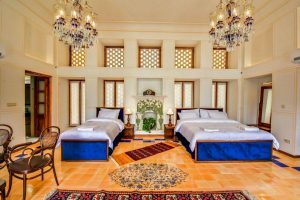 Pick Sunrise Hotel for a traditional stay in Isfahan. Featuring a traditional structure, Isfahan Traditional Hotel is about 400 years old making it one of the oldest hotels in Iran. The hotel has undergone a major renovation to provide guests with a comfortable stay. It is just 23km from Shahid Beheshti International Airport. The nearness of the hotel to the must-see attraction of the city is incredible. The Naqsh-e Jahan Square is just 4kms away. Also, there are two grandeurs palaces nearby – Hasht Behest Palace and Chehel Sotoun Palace. The most famous bridge in Isfahan, Si-o-Se Pol Bridge, is no more than 3km away. If you are on a family vacation with kids, it may surprise you to know that Isfahan Traditional Hotel is kid friendly. Room amenities include Wi-Fi, refrigerator, TV and DVD player. 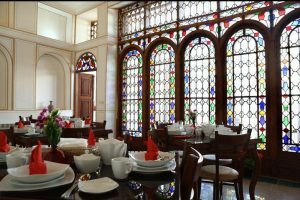 Saraye Ordibehesht hotel is a traditional hotel with a difference. The hotel provides one of the finest accommodations for vacationers and travelers. Dating back to about 80 years ago, Ordibehesht has been renovated to preserve its traditional look. This 3-star hotel has all the modern equipment to make a pleasant stay for guest. Its location in the city center provides guest with access to urban facilities. Enjoy fine dining experience at the outdoor restaurant that serves both local and international food to your delight. Coffee shops serve a wide range of beverages including herbal brew. Multilingual staffs are on the ground, so you don’t have any communication barrier. If you’re looking for a cheap yet classy hotel, pick Saraye Ordibehesht. 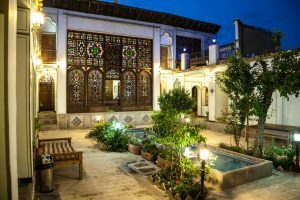 Sitting close to the city’s oldest religious structure, Jame Mosque, Iravani Historic House features five bedrooms on three sides of the house overlooking the interior yard. Guests can also catch great views of the fountain, swimming pool, and garden. The terrace, which doubles as a coffee shop, is a perfect place to marvel at the beauty of Jame Mosque from afar. Each room is tastefully decorated and comes with a separate bathroom, air conditioning, hairdryer, fridge, towels, and reading lamp. Whether you are on a solo trip, for business, honeymoon or family vacation, Iravani has a room suitable for your requirement. The hotel is a 19th-century architectural masterpiece and a national heritage site. Khan Neshin traditional house is a historical house with a stunning view. The hotel is committed and dedicated to preserving the old charm and feel of the city. Khan Neshin, which literally means a place for a king to live in, is full of colors. The lodge is strategically located for easy access to the tomb of Nasir al-Malik and Malik Shah Seljuk. You will definitely have a good time if you choose to stay here. Each room comes with air conditioning, safe and mini-bar. Dating back to the 17th century, Dibai House is a historic residence that has been completely renovated into a Heritage Guesthouse. Notably, all rooms come with a unique feature and décor. The bring color paints give each room a distinctive atmosphere. The house boasts a fully equipped kitchen featuring a microwave, cooker, fridge, and an electric kettle. The big living room is a place where guests can get more acquainted with the rich history and culture of Iran. Guest enjoy fresh breakfast every morning. 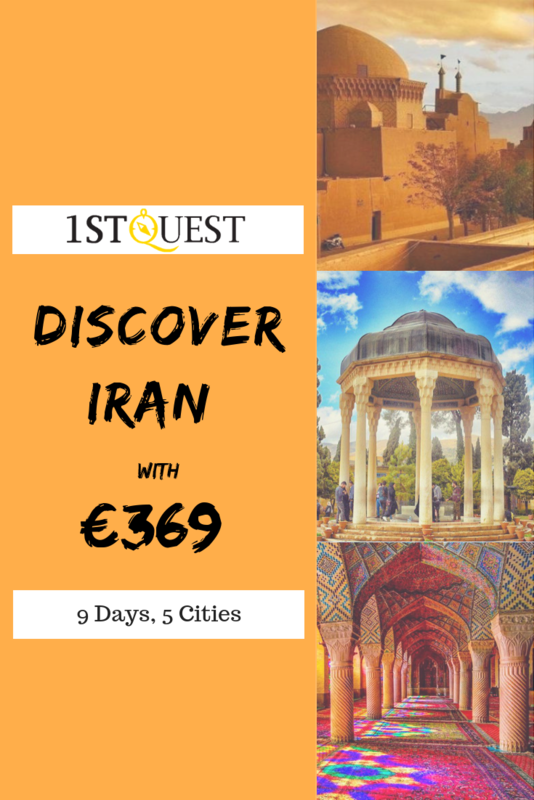 Here we have introduced the most popular traditional hotels in Isfahan, you can book Iran hotels easily with 1stQuest. Thank you such a great article, now I can choose my favorite hotel in Isfahan! Hi Charlie, this is great! Hi Victoria, Yes They are lovely. I love these hotels and their architectures, unique! 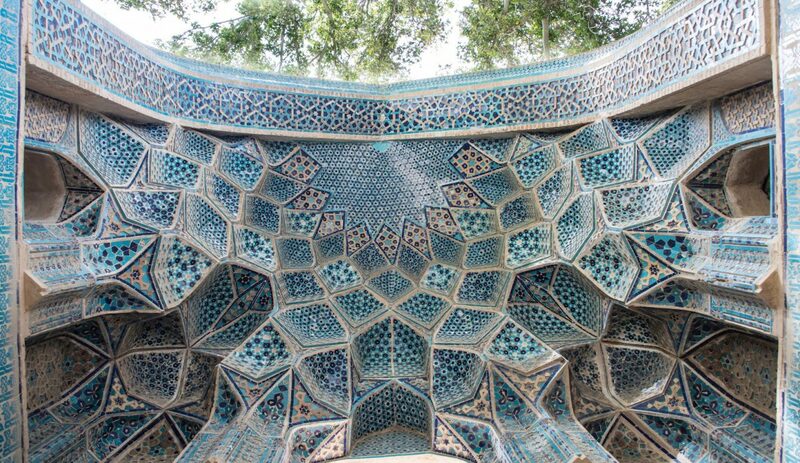 Hi Madison, Yes Iran, and especially Isfahan has stunning architecture. I always admire the Persian culture and history. Love this city of Iran very much, I feel great when I looking at the architectures, so lovely and stunning. Hi Logan, Yes the architecture is stunning in this city. How many days is enough to visit Isfahan?